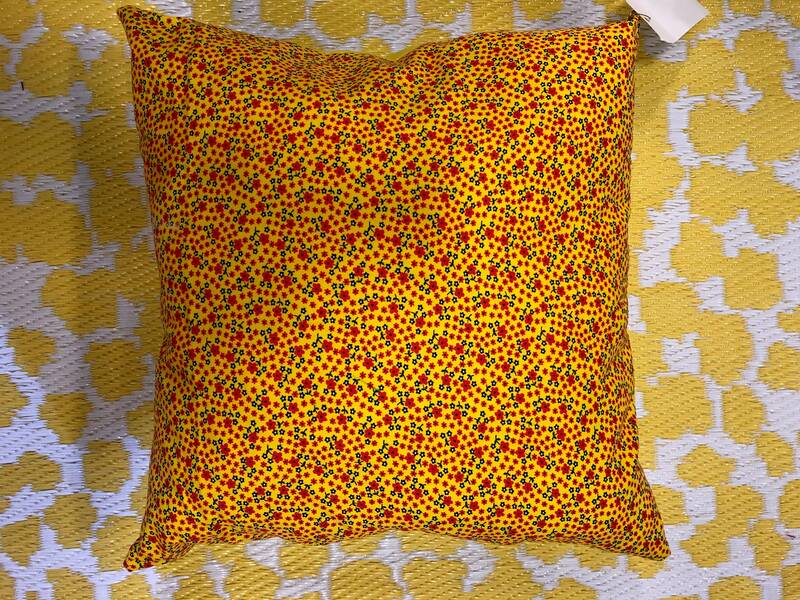 Beautiful soft cotton, red floral pattern, with a daffodil yellow background. 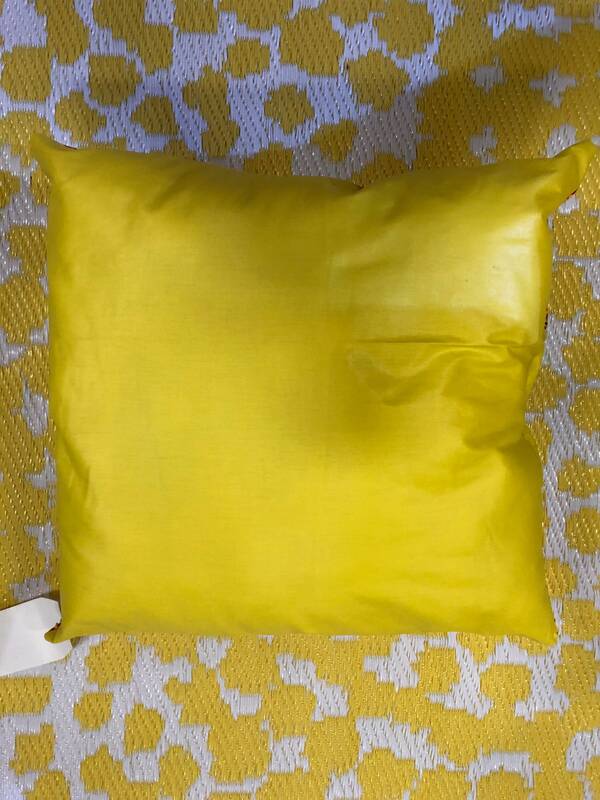 The back is a yellow sateen fabric with a little shimmer. The filling is poly-fill so this pillow is hypoallergenic. The fabric is vintage so I only had enough fabric for 2 pillows. Please order before these are gone. Perfect for a nursery, kids bedroom, or adult bedroom.